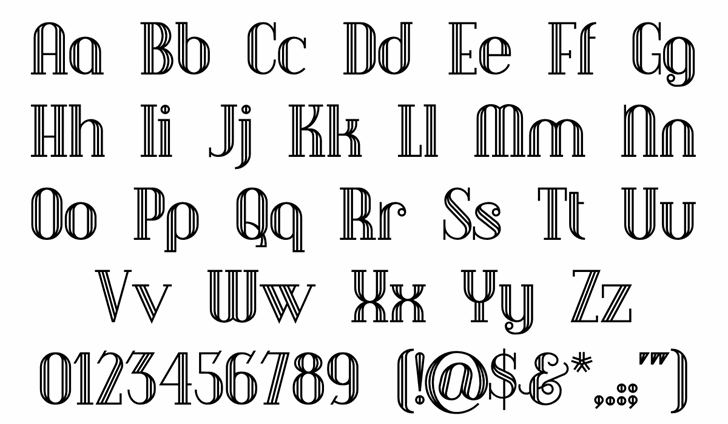 Here’s another gem from the book Art Deco Initials, which gave me a small handful of characters from which to divine the entire font. As I was constructing the font in outline form, I noticed how nicely it lent itself to an inline treatment, and decided to keep the structural elements. Later, I also noticed how well the lowercase-only font Bayer Architype went with these caps, so I adapted them to complete the character set. 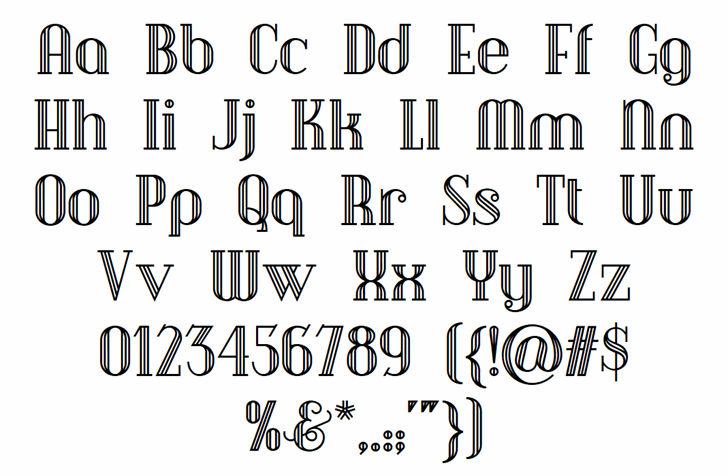 Great font---Love ALL your fonts!